Have Your Reunion or Meeting in Lava Hot Springs! 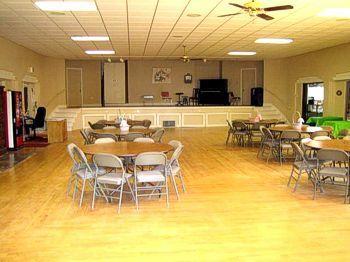 The Lava Senior center is a great place to have your family or class reunion, meeting or small convention. Open 24 hours a day, 7 days a week. Members access the fitness center with their own key. Call for rates. Lunch served Monday, Wednesday and Friday at noon. Play Lava Lions/Lioness Club Bingo!! Every Friday & Saturday night at 7:00 p.m.